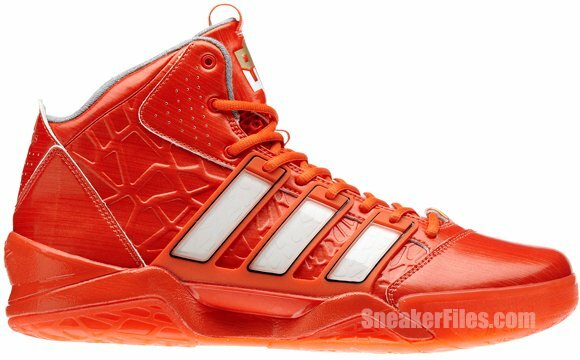 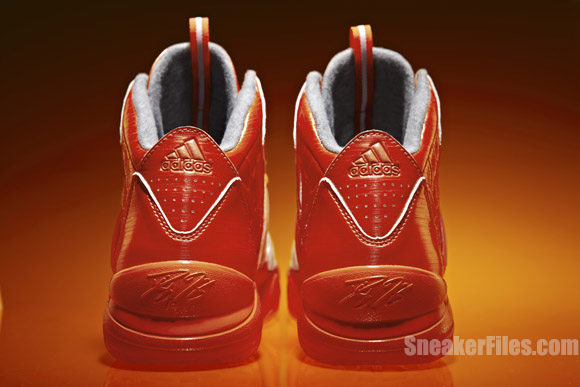 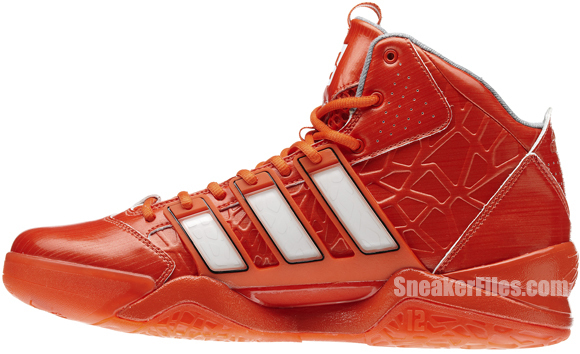 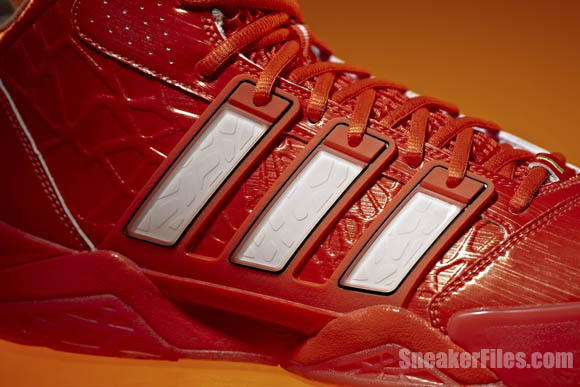 Dwight Howard’s adiPower Howard 2 is also getting the “All-Star” treatment, courtesy of adidas. 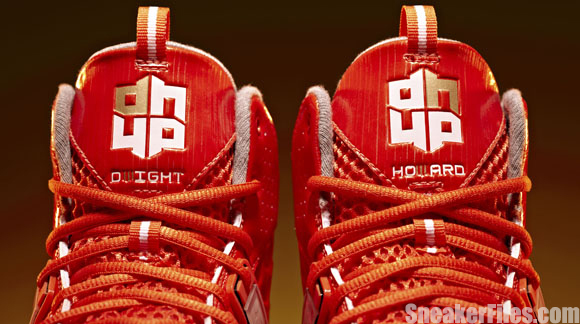 Like Derrick Rose’s All-Star kicks, Howard’s come decked out in orange with white accents throughout. 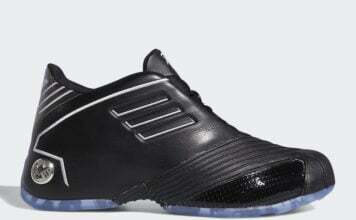 The lightest shoe D12 has ever worn, the adiPower Howard 2 features his shattered glass graphic on the midfoot alongside his signature on the heel, jersey number on the medial side and his “dh” logo on the tongue. 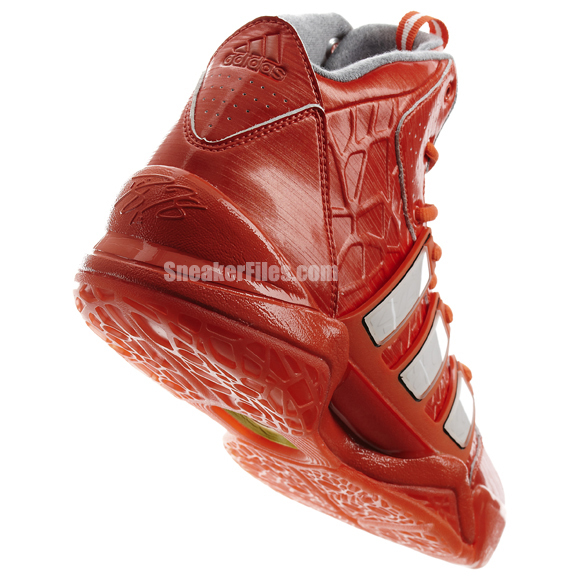 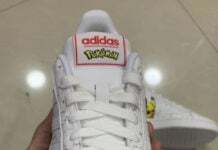 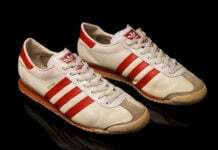 , and shopadidas come February 23.